When it comes to debugging, you want something fast! Here’s some useful softwares for debugging. We need applications that can take a VST plugin as command line argument, are lightweight, fast to open, and bug-free (ideally). 1) open the properties of your project (Menu -> Project -> Properties , or right click on the project name in the solution explorer and choose “properties”). Command Arguments : the command line arguments you pass to the executable, in our case, the name of the plugin we are coding. Working Directory : the directory where your plugin is ! in our case, the debug directory. Cantabile lite is fast, has a clean and nice interface, and can take a VST plugin as command line argument. if you’re on Windows XP, just run the setup executable and follow the instructions. if you’re on Windows Vista , or Windows 7 or higher, run setup as administrator and change the target directory for the application : choose a target directory other than “Program Files (x86)”, because Cantabile may need to write log files (useful when debugging). You can install it in something like C:/MyPrograms/ . 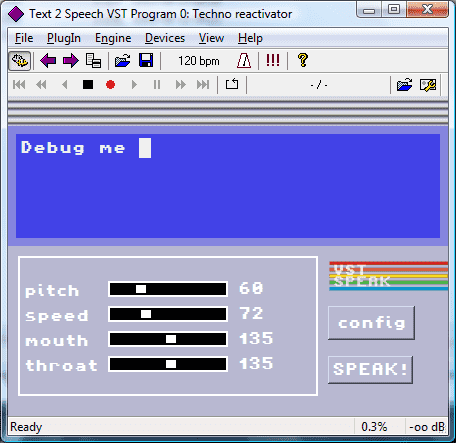 You have useful options when it comes to VST debugging. 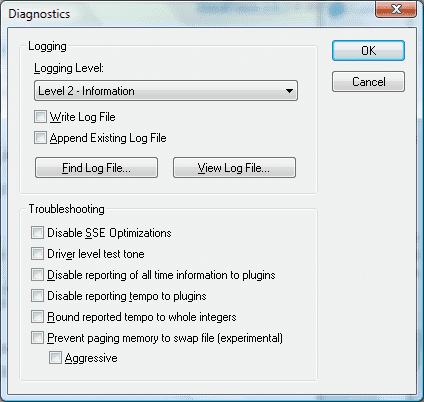 Cantabile can write a log file, you have different log level, the log file may be useful for debugging. Cantabile can also route the audio in directly to the plugin, it’s useful when debugging VST effects. 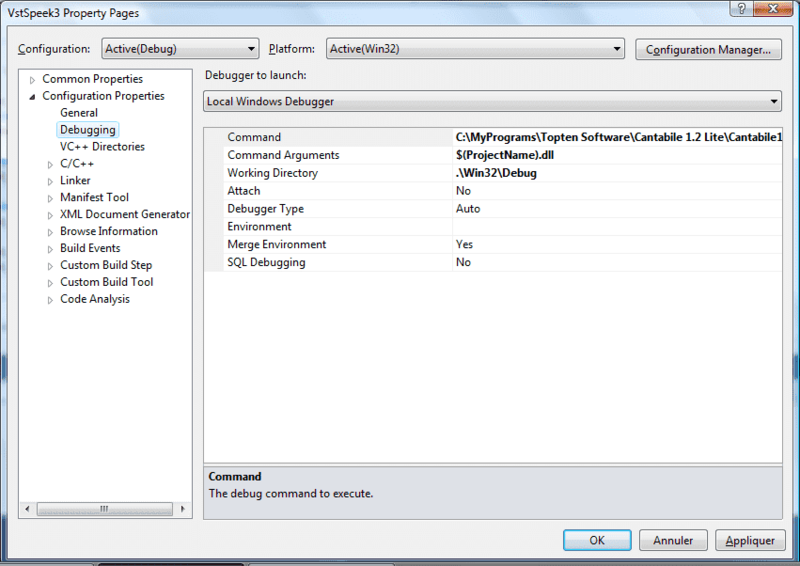 Like Cantabile, you can run it directly from the debugger. /noexc : “No Exception Check” it turns off the outermost exception handler. /noft : “No Fault Tolerance” : turns off all exception checks. note : the PDF manual is only present in the .exe setup download. This VST host doesn’t make any sound, it’s designed for stress test! You can torture test your plugin : this program runs automated tests for your VST plugin. It can be helpful for testing your plugin in extreme conditions. For even more advanced debugging, you can load the open source version of VST Host and set a multi project in Visual Studio with VST Host and your plugin. 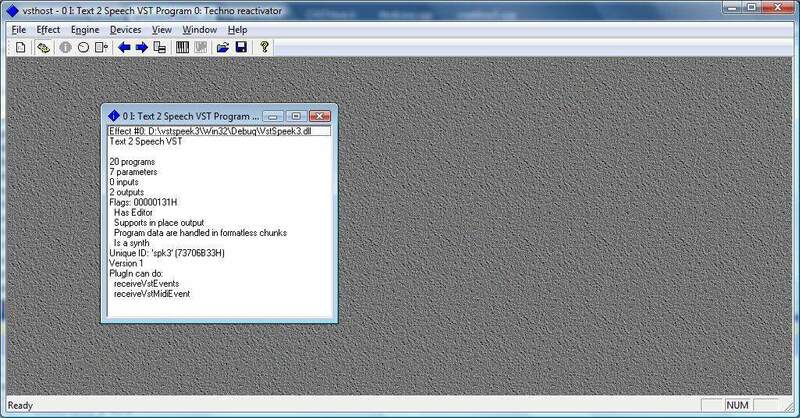 We suppose you already have the VST SDK 2.4. 4) select “start debugging (F5)” : this will launch VST Host, then load your plugin from VST Host : choose your plugin .dll file in your debug folder, then quit VST Host without unloading the plugin. VST host remember the last opened plugin(s) et reload it the next time. Or you can just setup the “command argument” in the debugging tab of the VST Host project properties so it loads your plugin when launched from the debugger. 5) now you can setup break points in your plugin code AND in the VST host code : this can be helpful for a better understanding of how your plugin communicate with the host and vice versa. 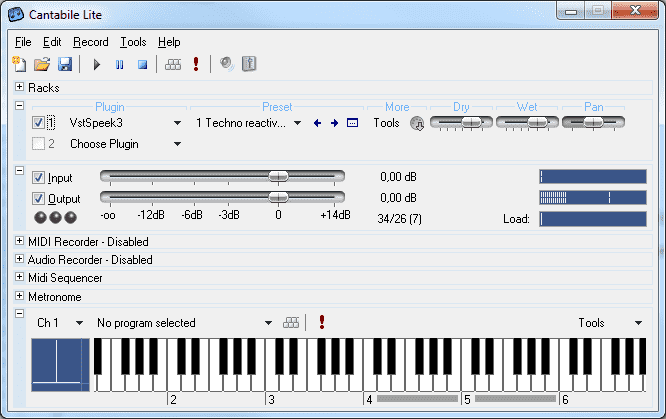 Cantabile Lite exists only as 32 bit application. From the simplest to the most complex, this is our recommendation of the five best reverb plugins that regularly achieve fast and satisfying results.